Muslim leaders from around the world have urged the Islamic community to rethink their stance on the theory of evolution. 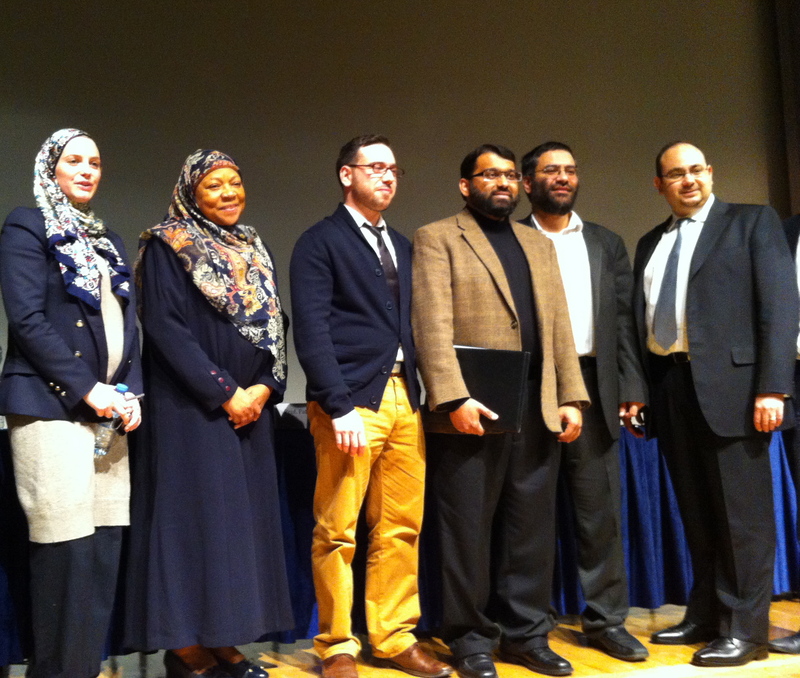 In the first debate of its kind in the UK, prominent Muslim scientists and theologians tried to reconcile Islam with evolution, at the Institute of Education, London, to an audience of around 850 people. Saturday’s event, which had to be moved from its original location at Imperial College, London, following protests by Muslim students, was titled ‘Have Muslims misunderstood evolution’ and was organised by the Deen Institute, which aims to promote Islam and intellectuality. “We must accept the truth [of evolution] to progress and move forward into the 21st century,” said Professor Ehab Abouheif, a Muslim Evolutionary Biologist at McGill University, Montreal, Canada. “Have Muslims misunderstood evolution? My answer is a resounding yes. Biological evolution is a fact,” he added. The message was echoed by Professor Fatimah Jackson, Professor of Biological Anthropology at the University of North Carolina who converted to Islam in the 1970s. “I’m a scientist, biologist and I believe in Allah. Evolution was no hindrance for me to become Muslim,” she said. Professor Jackson emphasised that “the theory of evolution has been hijacked by atheists” and faith and evolution “complement” each other. Many modern-day Islamic scholars believe evolution to be incompatible with Islam, unlike Christianity, which has largely embraced it. Dr Usama Hasan, a scientist and former Imam at Masjid al-Tawhid in East London, received death threats in 2011 when he advocated Islam was compatible with evolution. Despite retracting his statements soon after, for fear of his life, he used the stage to clarify his position. “Evolution is a Muslim theory. John William Draper, the 19th century scientist and contemporary of Darwin, called it the Mohammedan theory. I even once preached against evolution until I looked into it,” he said. However, the pro-evolutionists clashed with Dr Oktar Babuna, a Turkish scientist and representative of Harun Yahya, a world-leading creationist. “Darwinism is nonsense, evolution is not a fact and there is nothing in the Quran about it,” he said. “I will pay anyone £5m if you find me a transitional fossil,” he added. Dr Babuna found little support from his fellow panelists, was accused of misunderstanding evolution and taking Muslims back to the 19th century. Qadhi, a renowned rhetorician, accused Hasan of performing “fanciful, hermeneutical gymnastics” by trying to reinterpret the “vivid” creation story. However, Hasan believes it’s important not to remain entrenched with Islamic orthodoxy, as it has been proven wrong in the past. He also made a case for reinterpretation of scripture partly because “there are hundreds if not millions of young Muslims who have lost their faith because of science”. As such, it mustn’t be too difficult to invest some time creating a database of tables like what is suggested at where they have provided a sample database spec for usage in a college accommodation reservation application. the north shore in the island, about one third with the way in from the easternmost point.